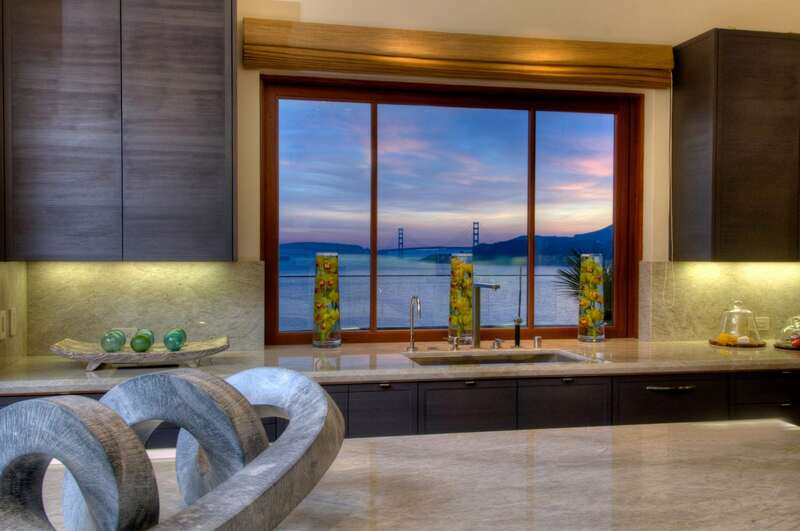 This luxury kitchen was part of the 41st Annual Marin Designer Showcase. 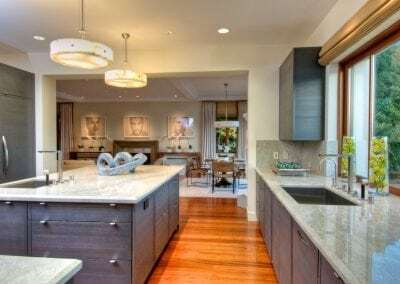 From the onset of construction through completion, Domicile collaberated with the developer and his lead designer, Beth Laughlin on selection of cabinet design and other finished materials used throughout the residence. 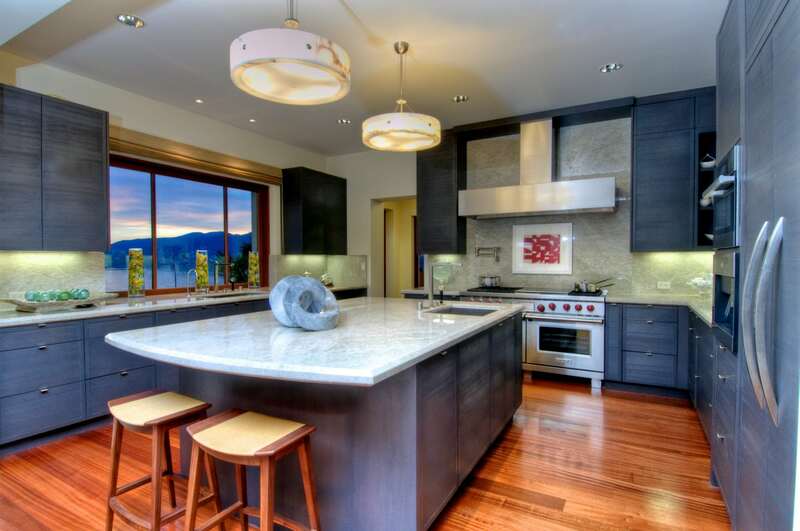 The kitchen cabinet design features select custom cabinetry of wire-brushed conifer. 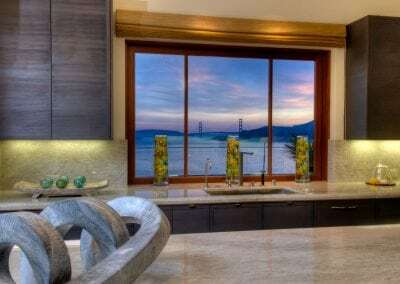 Countertops and backsplash are ‘Madre Perla’ quartzite, a natural stone with a unique, transparent depth. 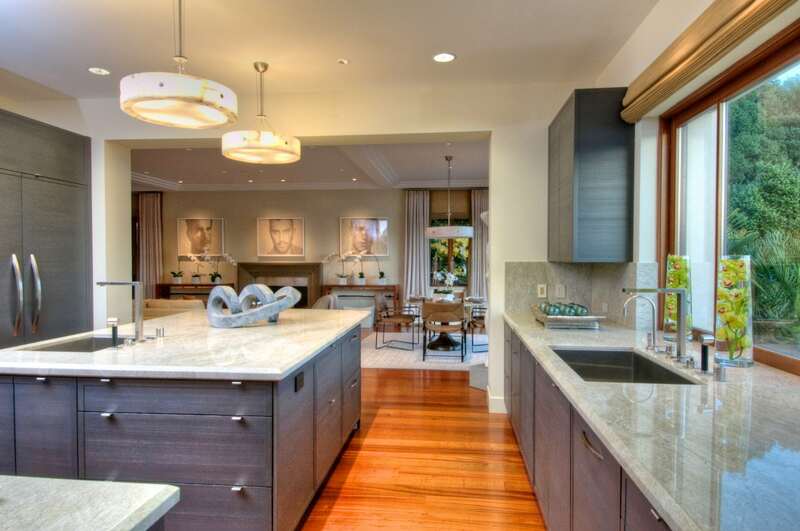 The stone’s beauty was chosen as a fresh alternative to the white marbles that are so often seen in today’s kitchen remodels. 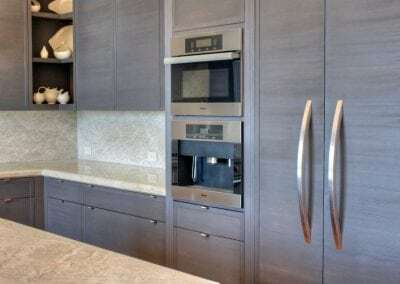 The well-appointed kitchen is equipped with a 60″ Wolf range, dual fuel six burners with grill and griddle, a convenient pot filler, custom ventilation hood, Miele speed oven and coffee center. 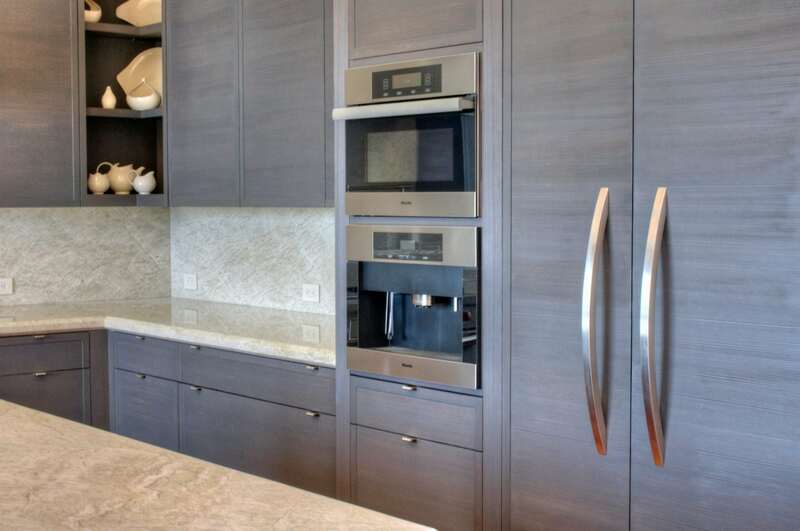 Hidden by panels are a Miele refrigerator and freezer (separate units), and a Miele dishwasher. 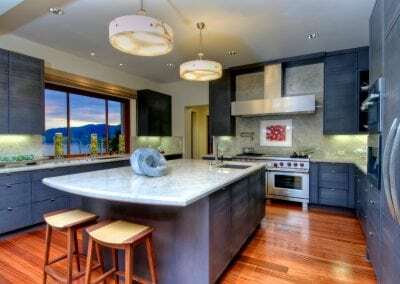 The spacious butler’s pantry includes an additional Miele dishwasher, Scotsman icemaker and a Sub-Zero refrigerator. 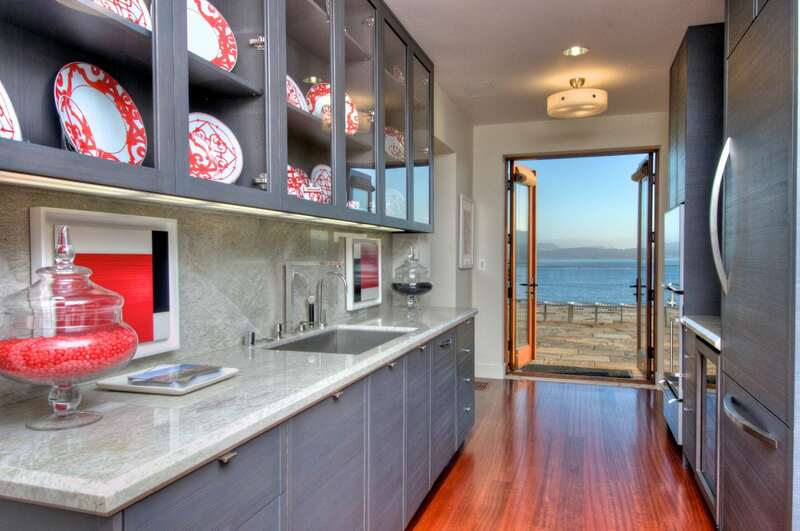 French doors provide access to the outdoor patio from the butler’s pantry. 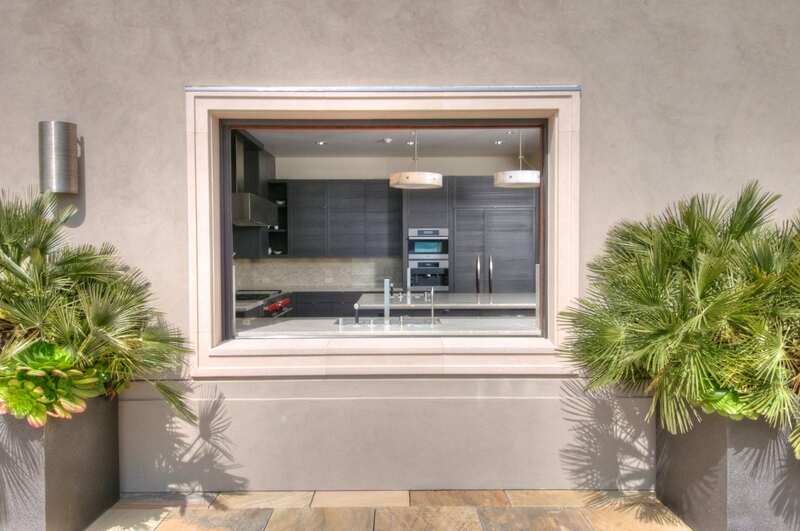 The kitchen’s only exterior window was of particular interest for showcase visitors. 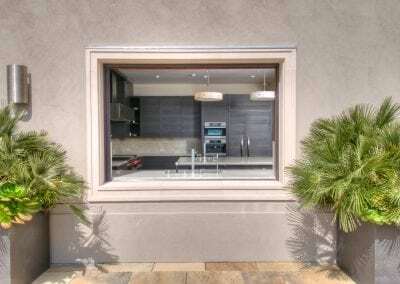 Automated, the window recesses into a wall pocket hidden from view. 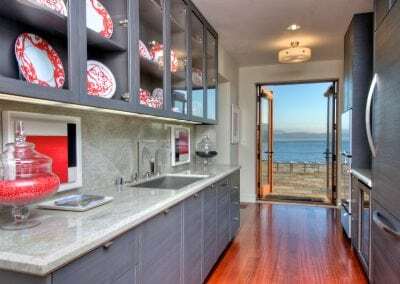 The window provides convenience for service to the expansive outdoor patio with spectacular views of the Golden Gate Bridge and San Francisco Bay.